The Edmonton Oilers have signed Darnell Nurse to a two-year contract, ending a lengthy stalemate with one of their top defencemen on Monday. 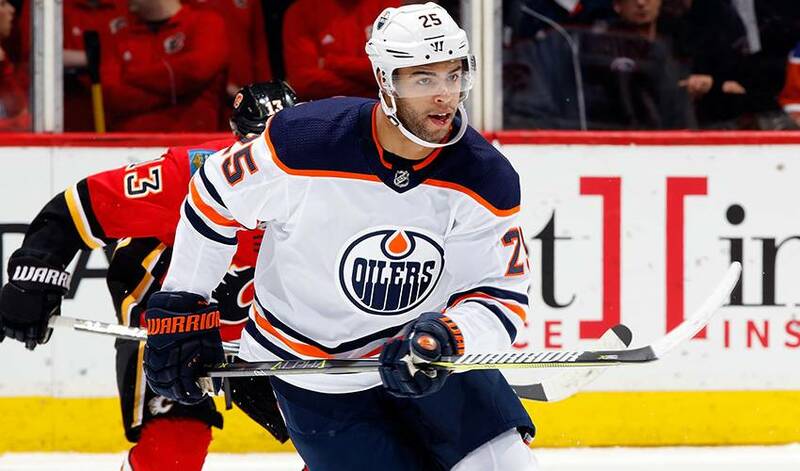 EDMONTON — The Edmonton Oilers have signed Darnell Nurse to a two-year contract, ending a lengthy stalemate with one of their top defencemen on Monday. The agreement with the restricted free agent is worth US$3.2 million per season. The 23-year-old Nurse led Edmonton blue liners in 2017-18 with six goals and 20 assists in 82 games. Nurse had said he wouldn't participate in training camp without a new contract. The two-year "bridge deal" will keep Nurse in Edmonton until the team can free up some cap space and potentially sign him to a contract worth more money or for a longer term. It's a similar type of deal to the two-year, $6.3-million contract the Winnipeg Jets and defenceman Josh Morrissey agreed to on Sunday. The Oilers opened their pre-season Monday night in Calgary against the Flames. Nurse's contract leaves five unsigned restricted free agents on the market, including Toronto Maple Leafs winger William Nylander. Ahead of his NHL-All Star Game debut, this week's Player Q&A features Edmonton Oilers forward, Leon Draisaitl. The second of a five-part series highlighting the NHLPA's partnership with Kids Help Phone, Paul Byron and Darnell Nurse talk about finding and following your passion. It turns out Leon Draisaitl’s popularity amongst his teammates extends far beyond what he does on the ice. He’s played a leading role for the Edmonton Oilers this season, earning rave reviews for both his offensive performance and defensive prowess.